In the month of January our AMRE Team volunteered at the Midwest Food Bank in Peoria. 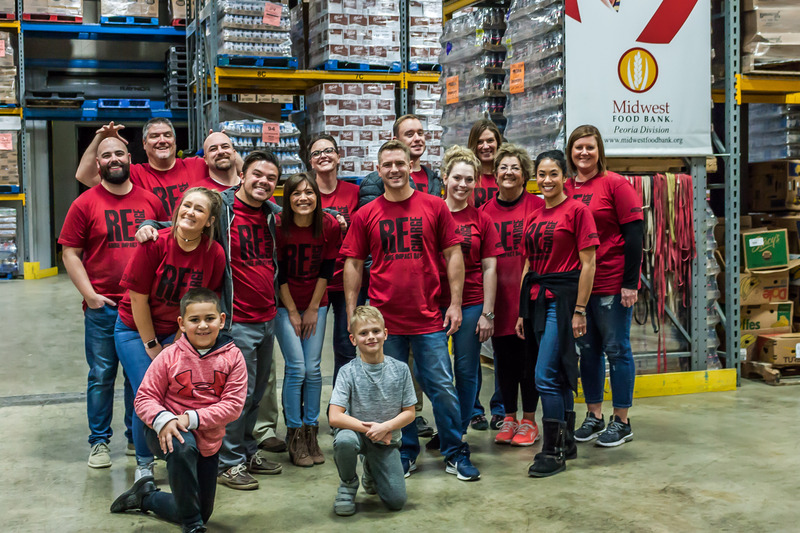 It is the mission of Midwest Food Bank to alleviate hunger and malnutrition locally and throughout the world and providing disaster relief, all without discrimination. During our time there, our team assisted in the repacking of food items that will be distributed locally to those in need. Adam Merrick Real Estate chooses one nonprofit organization each month within our community to volunteer at.